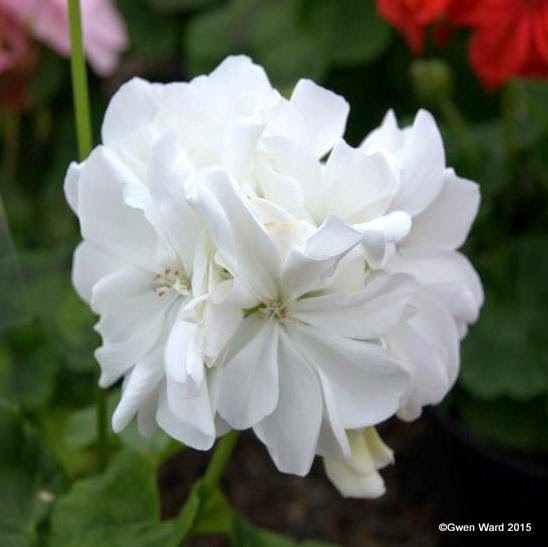 This pure white Dwarf Zonal Pelargonium was hybridised by Tony Burgess and introduced in 2007. It has semi-double flowers with large pips. My photograph was taken at Fibrex Nurseries - Home of the National Collection of Pelargoniums. No update on my club cuttings. They are still in their 3.5" pots, and have been a bit neglected this past week as I had a couple of days in hospital having a minor operation. I am home now and as soon as I am able I will be potting them on into a larger size pot. I've not grown Berkswell Sparkler for a few years now, but it is one I would like to get back. 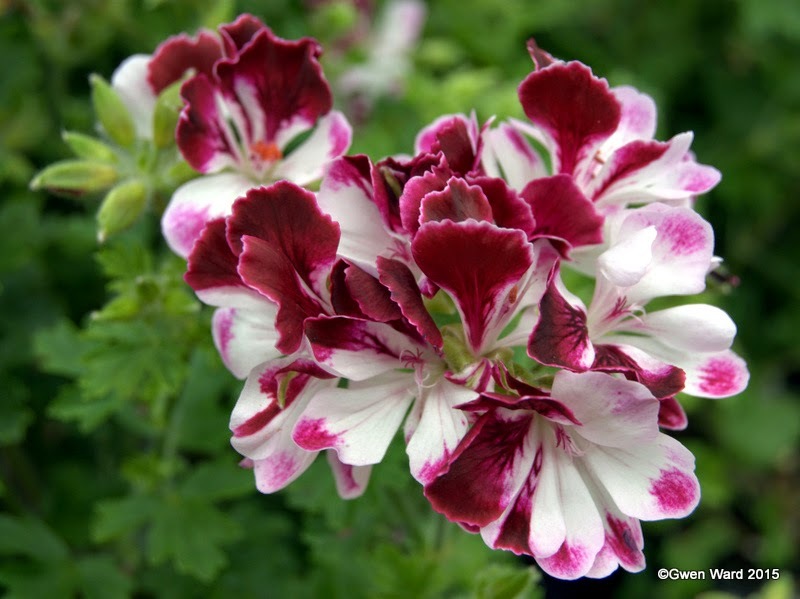 Hybridised by Malcolm Harris, he introduced this in 2005 through Derek Lloyd Dean who holds the National Collection of Angel Pelargoniums. Sadly his nursery is now closed. I do have a fondness for the angels, but I do find them a bit tricky to grow. They need more watering than the zonals and, like me, whitefly love them as well! However, I can't resist having a few angel pelargoniums my collection and, having said I find growing them tricky, cuttings are a doddle. Speaking of cuttings, these are my Club cuttings earlier this week before I re-potted them into 3.5" pots. It never ceases to amaze me how quickly plants grow - just look at all those side shoots!